Not only is meditation recognized as a super-effective “brain tool,” many people report amazing positive results using meditation for specific health related problems including ADD, chronic fatigue, traumatic brain injury (TBI), Post Traumatic Stress Disorder, anxiety, depression, the treatment of addictions, and several others. 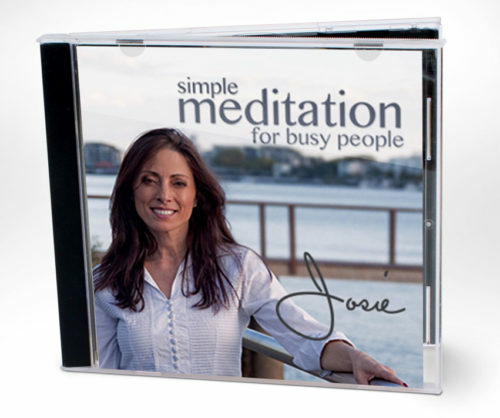 Included are two guided 4-minute meditations (one in a female voice, one in a male voice), two additional meditation music tracks and an audio book. Narrated by Josie herself.